Produce nutritious, preservative-free soymilk in a matter of few minute, using all new Miracle Soy Milk Maker MJ840. Introduce your lifestyle to health and nutrition without wasting your time, money, and energy! With the brand-new Miracle Soy Milk Maker you can instantly produce approx. 1 liters of fresh and delicious soymilk, nut milk or rice paste in about 15 minutes. 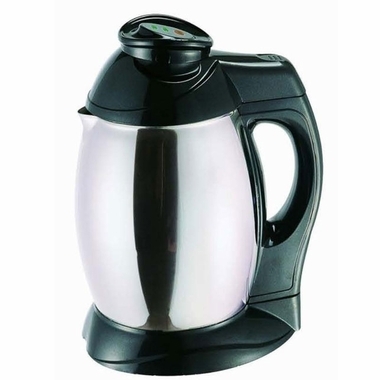 The Miracle Soy Milk Maker features an enclosed heating element with stainless steel, rustproof Jug, basket, and cutter. The Cutter blade is equipped with serrated cutting knife-edges, which skillfully grinds soybeans. Once the milk is done, the machine shut off automatically, owing to its.